Locality: United States, Colorado, Moffat, East side of Little Snake River at the lower bridge on Moffat Co. #10. Habitat: Growing alongside road in sandy soil on west facing slope. Notes: Penstemon mucronatus N. Holmgren, det. by W. A. Weber, no date. 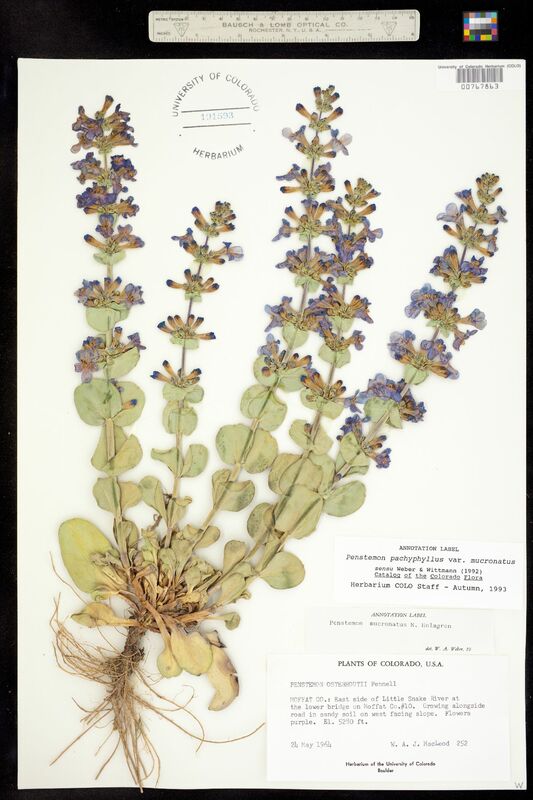 Original ID: Penstemon osterhoutii Pennell.